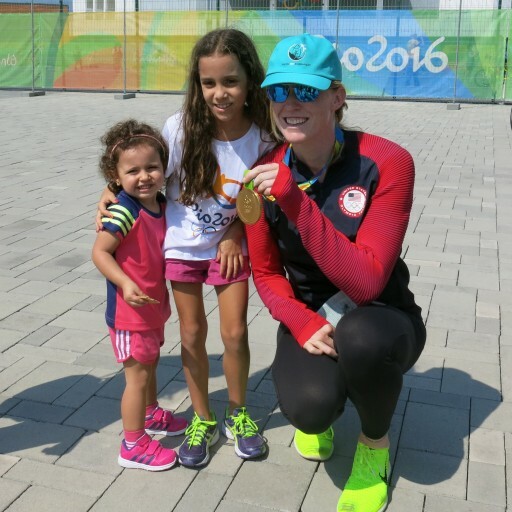 In her Drug-Free World cap and with gold medal in hand, Emily Regan, of the U.S. Women's Eight Rowing Team, gives golden advice to Rio kids--play and stay drug-free. 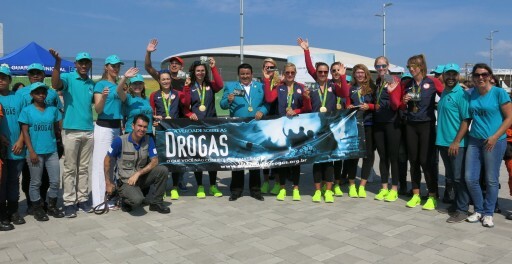 The world record-breaking U.S. Women's Eight Rowing Team gold medalists and Drug-Free World volunteers spread the truth about drugs at the Rio Olympics to help Brazil counter its crack cocaine epidemic. Brazil has the highest incidence of crack consumption in the world. 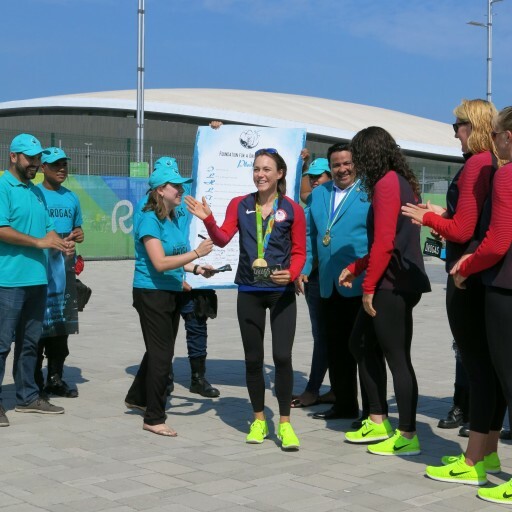 At the Rio Olympics, U.S. Women's Gold Medalist rowing coxswain Katelin Snyder and her teammates, who shattered the world record at the Rio games, join Foundation for a Drug-Free World volunteers, encouraging youth to pledge to play and stay drug-free . 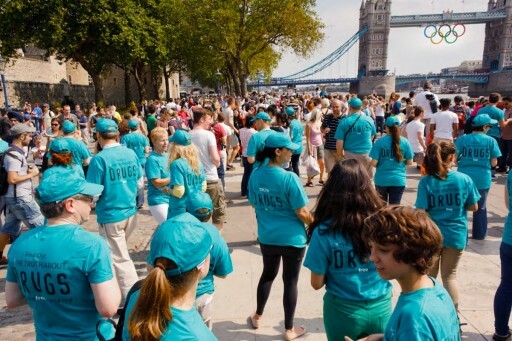 British volunteers carried out the largest anti-drug operation in history, organizing the distribution of one million Truth About Drugs booklets during the London 2012 Olympics. 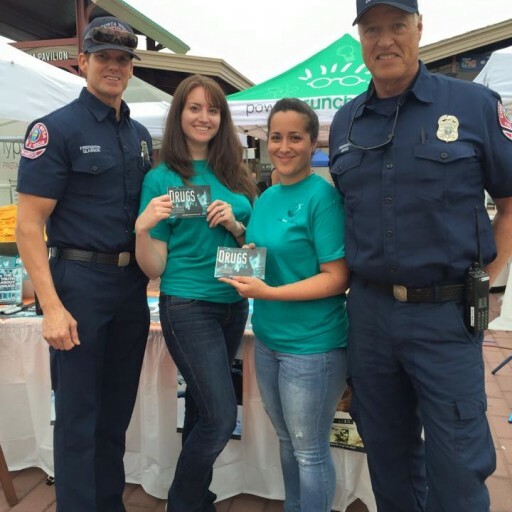 Because young people presented with the unvarnished facts about what drugs can do are far more likely to reject them on their own, Truth About Drugs is in high demand as an educational tool in schools, law enforcement units, fire departments and community-based settings. More than 62 million educational booklets have been distributed, and public service announcements have reached more than 260 million viewers in 123 countries. 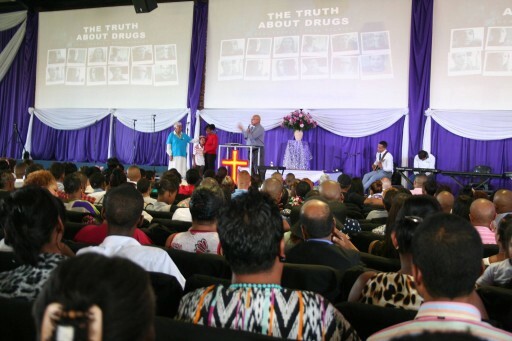 On Sunday Morning the 28th of Feb 2016 Drug Free World Eldorado Park had the opportunity to speak to the entire congregation of Evangelistic Outreach Ministries in Eldorado Park, South Africa to a capacity filled church. Pastor Errol Jacobs is the Executive Director for Drug Free World Eldorado Park and he spoke about the "Truth about drugs" and the harmful effects that drugs has on the body and in life.